Introduction: Maine Road was the Manchester City ground on Moss Side until 2003. It opened in 1923 and was the second largest stadium in the country after Wembley at the time. 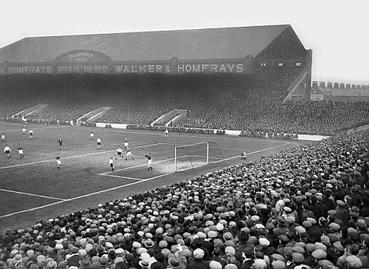 The record attendance was in 1934 for the FA cup tie that year between Manchester and Stoke Cities when 84,569 people attended. It remains an English club attendance record to this day. Morecombe bay potted shrimps, no need for more butter as it’s in the shrimps. Clearly there is no place in kickball cuisine for Lobsters so I have replaced them with potted shrimps. Make the rolls with the stuff. It does work with lobster too if you are feeling flush. Maine Lobster, can you see what I’ve done there? Introduction: From a chant that was originally a taunt by opposing fans now sung ironically by the Arsenal fans. This recipe is one of my wife’s favourites, she first came across it while working in Hammersmith. This recipe is the Indonesian version that uses leftover rice and is topped with a fried egg so surely can be used for brekkie before setting off to the match? Home kit: large frying pan or wok, small mixing bowl and optionally a saucer. Put your frying pan on a low heat and toast the shrimp paste until it is dry, it should fill your kitchen with a beautiful red aroma. Collect the paste and mix it in a small bowl with the shallot, garlic and chilli. For the optional fried egg, add one table spoon of oil and fry it to your liking. Set aside on the saucer. Add the second tablespoon of oil into the pan and stir fry the shrimp mixture for a few seconds to flavour the oil. Add the rice, brown sugar and sweet soy sauce, continue to stir fry until everything is thoroughly warmed through. Serve in the shallow bowl with the fried egg on top. A side salad of chopped lettuce, tomatoes and cucumber works well with this dish if used as a starter.